Moving to a new country brings in a lot of excitement, but at the same time the whole procedure is accompanied by a fair amount of stress too! First of all, make your mind that you really want to move on to this new country. A mind filled with speculations or doubts cannot succeed. Ask yourself whether the new culture will really suit you and your family members! Remove all the confusions and head on towards a better future. Preparation is the key to excellence. Search for your job and house well in advance to avoid any hassles in future. Assure that you have enough financial assets to sustain in the first few struggling months of your move. Good budgeting makes all the difference when it comes to moving to an altogether new world. Think what you want to do with your current home (Give it on rent, sell it, leave it). What about the household items? Make a thorough check-list of what to the stuff that you need to pack and take with you and the items that need to be discarded. Transportation aspect needs to be a reliable one. If you have already got a job in the new country, know about the relocation benefits offered by your company. Also understand all the benefits offered by your firm before making the final move as no one wants to end up in a messy situation after landing in a new country and know the hidden clauses later on! If the prospective country has a new language, ensure that you learn its official language to ensure your comfort level and enhance your chances of a better future. Ensure that the documentation is right in order! There are so many things including birth certificate, experience certificate, financial proofs, to name a few. 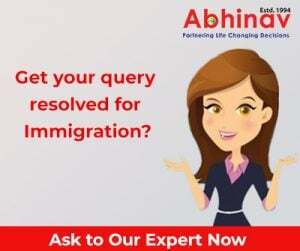 This is one of the most critical aspects and requires an expert guidance from an experience Immigration veteran. Sydney – A Colorful Place to Live In!